There are 28 Memory Care Facilities in the Playa Vista area, with 1 in Playa Vista and 27 nearby. The average cost of memory care in Playa Vista is $5,119 per month. This is higher than the national median of $4,650. Cheaper nearby regions include Culver City with an average starting cost of $4,395. To help you with your search, browse the 29 reviews below for memory care facilities in Playa Vista. Better rated regions include Santa Monica with an average rating of 4.0 out of 5 stars. Caring.com has helped thousands of families find high-quality senior care. To speak with one of our Family Advisors about memory care options and costs in Playa Vista, call (855) 863-8283. Playa Vista has a little over 35,000 residents and is a neighborhood in Los Angeles, California, where there are an estimated 147,000 seniors living with Alzheimer's disease. The area is served by the renowned Cedars-Sinai Marina Del Rey Hospital, which has a world-class neurology department that provides care for seniors with all forms of dementia. Seniors with dementia are further served by the area's 29 memory care facilities, which are often housed alongside assisted living facilities, as provisions for both levels of care are similar across the state. 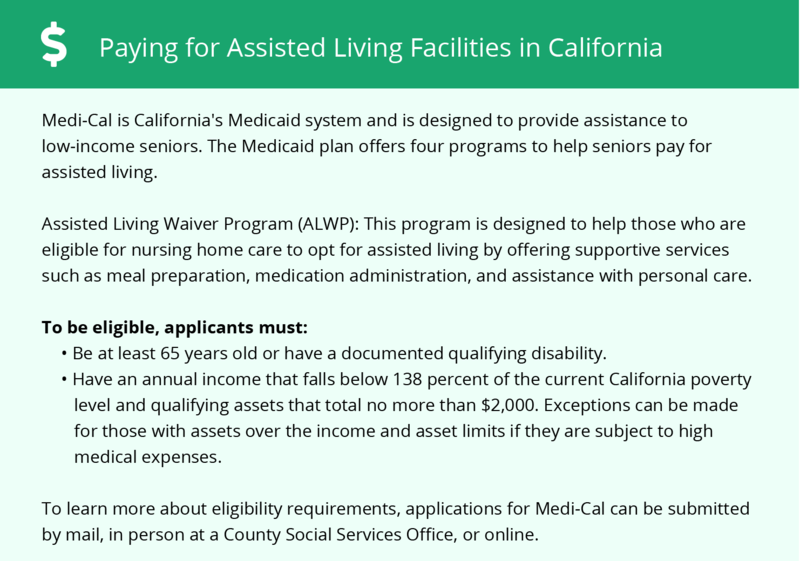 Officially, facilities that provide either level of care are known as residential care facilities and are regulated by the California Department of Social Services. The overall cost of living in Los Angeles is nearly double the national average, which might make the area far too expensive for some families. 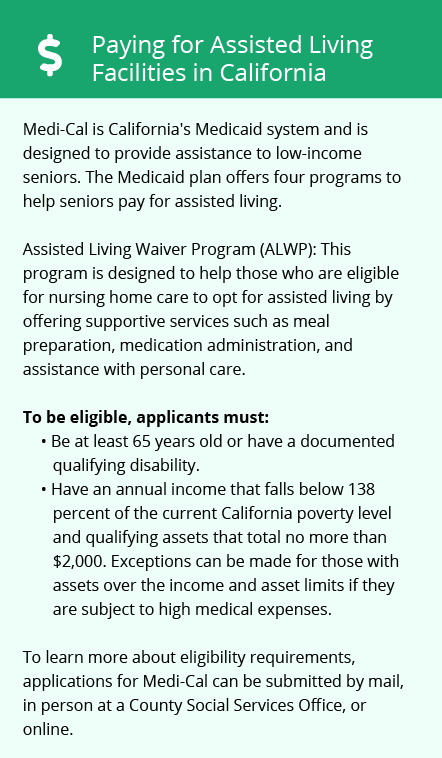 However, seniors who require frequent access to medical care might be able to save some money, as the cost of healthcare in Los Angeles is 15 percent below average. The climate in the Los Angeles area is reasonably comfortable and mild year-round. Average high temperatures in the summer sit around 84 degrees, while in the winter the average low temperature is a warm 47 degrees. Families may want to search for a memory care that provides a secure outdoor space for residents. Violent crime rates in Los Angeles are considerably higher than the state average. Nearly eight violent crimes per 1,000 residents occur each year in the city, and by comparison, only 4.49 violent crimes per 1,000 residents occur in the average California city each year. That being said, Playa Vista's crime rates are considerably low when compared with the city average. Even so, it's best to discuss security with memory care facilities to ensure there are procedures in place to keep residents safe. The air quality in Los Angeles is known to be among the worst in the country, thanks to its high levels of ozone and particle pollution. Consistently poor air quality can negatively affect a person's health, particularly seniors and those with underlying medical conditions. Memory Care costs in Playa Vista start around $5,119 per month on average, while the nationwide average cost of memory care is $4,800 per month. It’s important to note that memory care rates in Playa Vista and the surrounding suburbs can vary widely based on factors such as location, the level of care needed, apartment size and the types of amenities offered at each community. Playa Vista and the surrounding area are home to numerous government agencies and non-profit organizations offering help for seniors searching for or currently residing in an assisted living community. These organizations can also provide assistance in a number of other eldercare services such as geriatric care management, elder law advice, estate planning, finding home care and health and wellness programs. To see a list of free memory care resources in Playa Vista, please visit our Assisted Living in California page. Playa Vista-area assisted living communities must adhere to the comprehensive set of state laws and regulations that all assisted living communities in California are required to follow. Visit our Memory Care in California page for more information about these laws.